“Holy cow—what does it say?” I’d be thinking through my sweat. For, being a young man of my time, I’d never read the message through, just a few words on the front and skimmed to the ending. Happily, though, because American Greetings cards are carefully crafted to say just the right thing, I needn’t have worried. Now I’m editing those card lines and, as a father myself, I take great pride in selecting just the right Father’s Day messages for our products. My dad was probably a lot different from yours: like many of his generation, he wasn’t overly expressive of his softer side, preferring to let his actions speak for him. Younger dads are a lot closer to their kids and more open with their feelings, though not all are as comfortable that way as others. So if you want to know what to say in a Father’s Day card, it’s gotta start with what kind of guy he is. Is he the classic strong, silent type? Straight up and right to the point…you’re a great dad and you’re loved very much. You’re the best. End of story. Is he a funny kinda guy? If you’re more likely to share your Father’s Day wording in a kidding way, it can be fun and affectionate at the same time. Happy Father’s Day, Dad. Okay! Good talk. Let’s be honest—you wouldn’t have this special day if it wasn’t for me! What if he’s an old softie? These guys can handle a little sentimentality. You might want to turn up the love, pride, or gratitude just for him. For all the wonderful things you do that I might not always notice, thank you. Has he had a real influence on your life, even if he’s not your biological father? He deserves to know how you feel about him. Every day I feel gratitude for all you’ve done for me. Are there any special interests he’s known for? Sometimes it’s nice just knowing you”get” him. Thanks for teaching me how to “play the game,” Dad. I’m talking sports, of course. Your love of [photography] taught me to [look at things from a unique perspective]. Thanks, Dad. No one masters [the grill] the way you do! Love you [and your cookouts]! 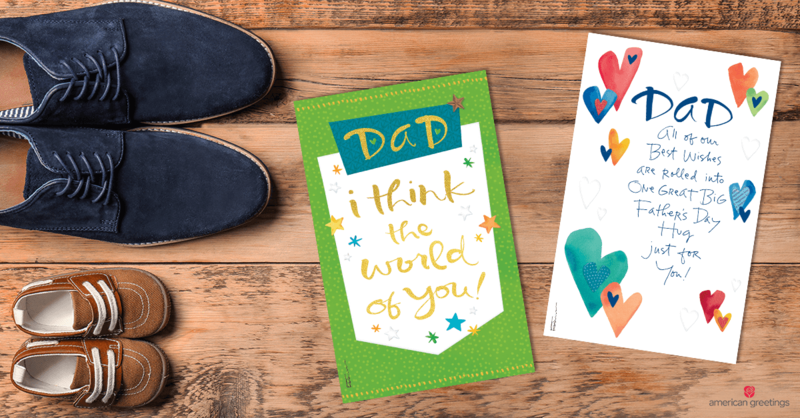 Whether you come up with something sweet, witty, or wise, only you know what makes the dad in your life so special to you—and that’s what he really wants to hear.